Here at Tripawds we’re always learning something new. 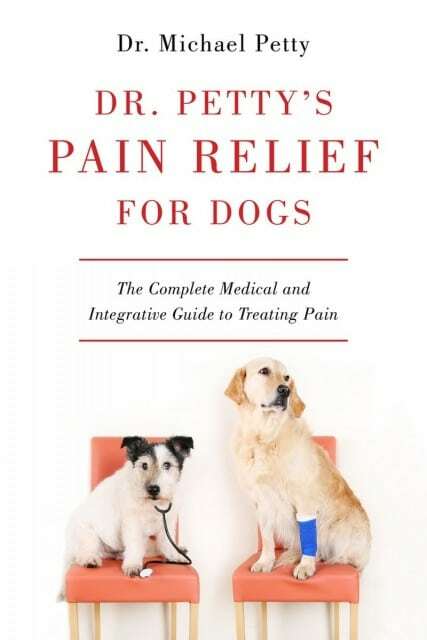 Until we met veterinary pain management expert Dr. Mike Petty, author of the must-read book, “Dr. Petty’s Pain Relief for Dogs,” we thought phantom pain was the only type of post-amputation pain that dogs and cats experienced. Thanks to Dr. Petty’s help, we now understand that Hyperalgesia and Myofascial Pain Syndrome (MPS) are two other common painful conditions that some, but not all amputee dogs and cats will experience after surgery. Below you’ll find descriptions of each. Next week we’ll tell you how to alleviate these conditions. Please remember we are not veterinarians and this article is not meant to replace your own veterinarian’s guidance. Always work directly with your own veterinary professional for the best and most appropriate care for your three-legged hero. 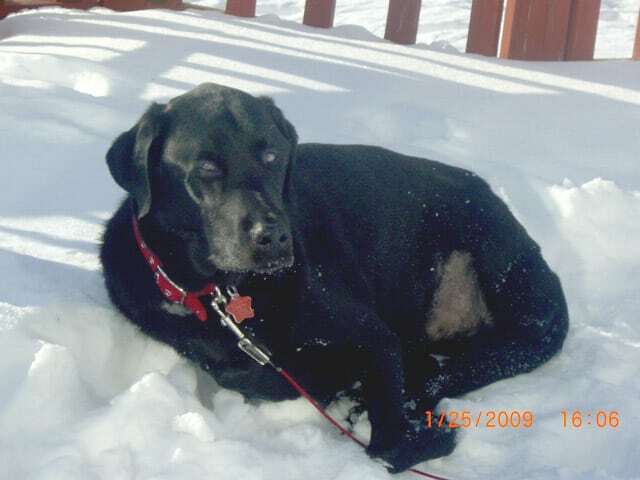 Max lays in cold snow to help with pain. Phantom pain is the brain’s way of telling the body “Hey? Where’d that leg go? !” when it sends a signal to move the missing limb. The nerve is trying to control a limb that doesn’t exist. It’s a sudden, frightening occurrence that we’re seldom prepared for. Tripawd dogs and cats with phantom limb pain will suddenly yelp, cry out, jump up or constantly lick the spot where their leg used to be. Preventing and managing these painful conditions is a matter of working with your vet before and after surgery. Next week, we will share suggestions for managing it, with tips from Dr. Petty and our long-time community member, veterinarian Dr. Pam Wiltzius. Stay tuned! Post Amputation Side Effects (this article is about dogs but much of it applies to cats too).